I have actually been into the Amazon Rainforest. 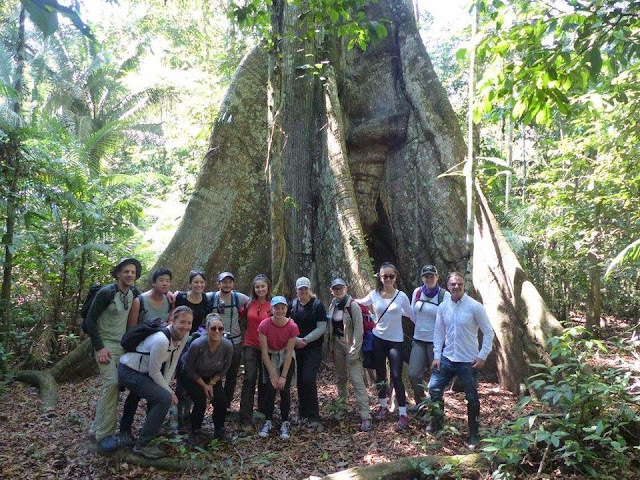 I've been to the AMAZON RAINFOREST! Sorry just nearly 6 months later, it still hasn't quite sunk in. This is going to be another long one, so get yourselves a cuppa, or maybe a glass of wine? A Pisco Sour to get in the Peruvian mood? ;) Whatever floats your boat, I do have a tendency to ramble haha. Let's get the journey rant out the way, then the good stuff can start! The journey there was a stressful one to say the least. I'm not the greatest flier anyway, and landing in Cusco before the Inca Trail began was horrific and so bumpy because of the altitude so I was already a bit worried about having to take off from there. The day before we flew some of the "Assholes" had flown back to Lima to go home (see previous post if you're sitting there wondering why the hell I'm referring to assholes in a post haha). Anyway they had text our group whatsapp chat saying that they had to fly back to Lima without their luggage and they didn't think they were going to get it to them in time for their flights home the next day because the heat and air pressure from the altitude meant the plane had been too heavy to take off and they had to take loads of the luggage off the plane for it to be able to fly. Cue me and my anxious little brain starting to panic and worry. The day of the flight, straight away the journey was a nightmare haha. We all got on the mini bus and just before we were going to leave I realised I didn't have my phone. I was back in the hotel frantically searching all over the reception, asking for the key to go back to my room to check it, begging the mini bus driver to open my suitcase so I could check inside. He wouldn't at first because he had struggled to get it into the bus (yes I am the person that took a 25kg suitcase on a backpacking and jungle holiday while everyone else had small sports bags hahahaha, "travelling light" doesn't exist in my vocabulary) but I think he saw how upset I was and finally got it back out for me and when I opened it, there it was. It was like a light shone down, a choir sang and I had just set eyes on the holy grail! I actually dived onto my bus driver and hugged him, which he definitely wasn't impressed by hahaha! Finally after the phone fiasco, we could set off the airport. It is always me that these things happen to!!! Once we got the airport all was going well until we actually boarded the plane then we had the same problem as the others. Our guide had left us, so we were travelling alone without a G-Adventures rep accompanying us, and then all of a sudden our suitcases started being taken back off the plane and back into the airport. Then the panic set in, I didn't want to fly to a remote part of the jungle without my suitcase! The stewards on the plane were an absolute joke. We were trying to ask where they were taking them, if they would fly on a different plane straight after us, if they didn't where would they go, when would we get them? Fair enough they didn't know anything, but they could see we were all panicking and they wouldn't even attempt to try and find out anything for us. There was even another group on the plane who were travelling with G-Adventures as well, and we were desperately trying to get their rep to help us, but she wouldn't even speak to us because we weren't the group she was assigned to and then went on to pretend to be asleep until we got to the jungle! None of us were impressed and then to add to the panic, after pretty much all the luggage had been removed from the plane, we were then told that the plane was still too heavy and 10 people had to get off and they would be compensated £50. If no-one volunteered, they would pick people at random. Thankfully some people did and the plane could still leave, and off we went, waving our luggage goodbye. When we landed and got off the plane, there was still no G-Adventures rep there to pick us up, and again the other rep was absolutely no help and just left with her group while we were stood there like lemons with no luggage and absolutely no idea what was happening. 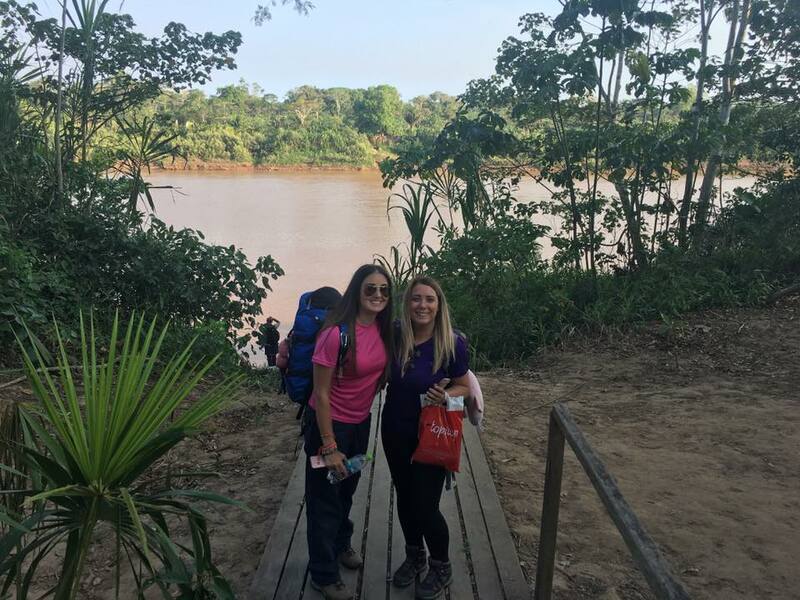 Finally after what seemed like hours, two of the guides from our eco-lodge resort we were staying in turned up to get us, but completely unaware that we didn't have luggage. 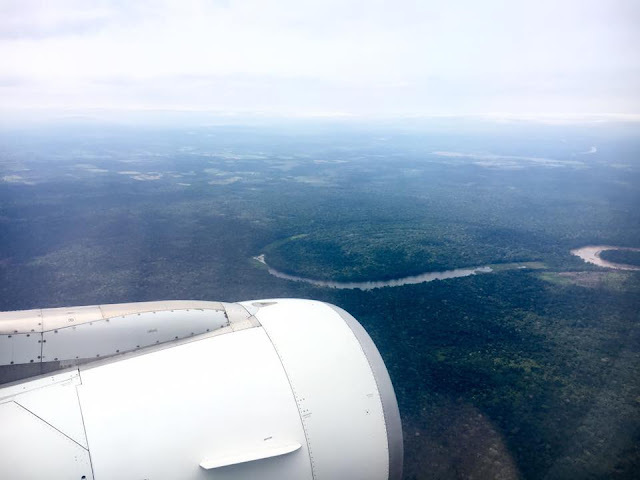 They were an absolute godsend though and finally got people in the airport to help us and got in touch with people who let us no that our suitcases would be arriving there and being sent to the G-Adventures office by the time we were travelling back home again. Most of our group had absolutely nothing with them, so the guides took us to some local shops so we could get some toiletries and clothes if we needed anything, which we were told we could claim back the expenses for once we were home. Luckily me and Stacey had packed most of our stuff we needed and clothes in our backpacks because we couldn't be bothered messing about in our suitcases once we got to the G-Adventures office, so we weren't too bad. Being lazy does pay off sometimes! 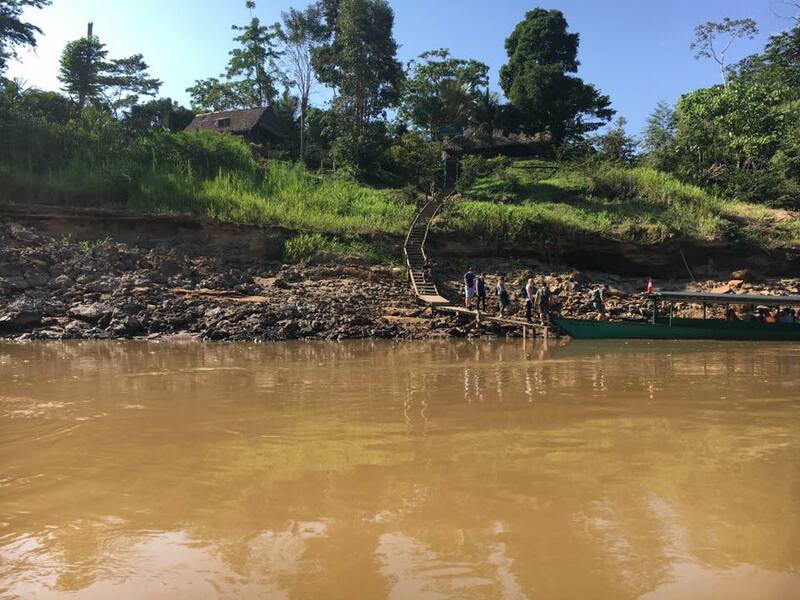 About 2 hours later than expected, we were finally on our way to our lodge, and finally all our stresses seemed to start to disappear and everyone started to be excited again. Talk about the journey from hell!! Haha! Once we were on the mini bus we got given our lunch and can I just say, it was the nicest lunch ever! Egg fried rice, served in a huge leaf! 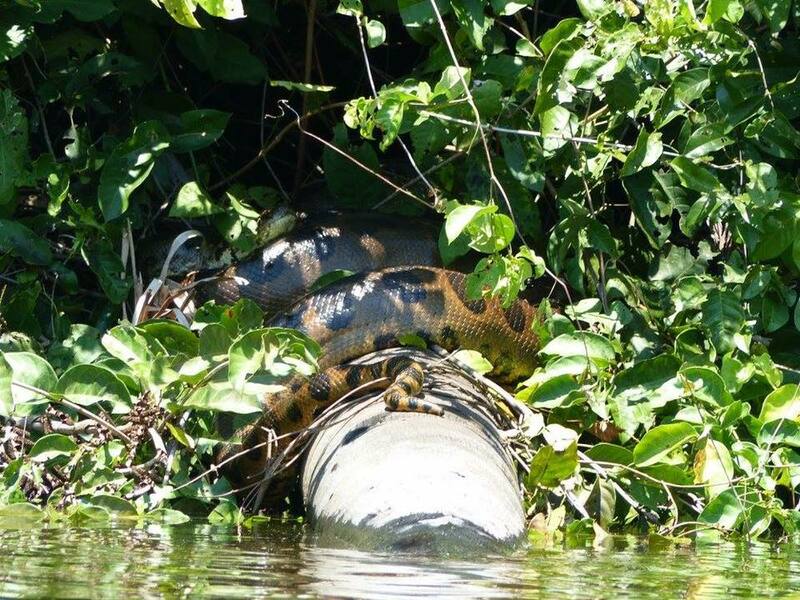 If that didn't make you feel like you were on your way to the middle of the Jungle then I don't know what would have! We were on the mini bus for about an hour until we got to the Amazon River, where we all boarded a speedboat to take us to our Eco-Lodge Resort and cruised down the river for 2 hours, while the sun was setting in front of us. 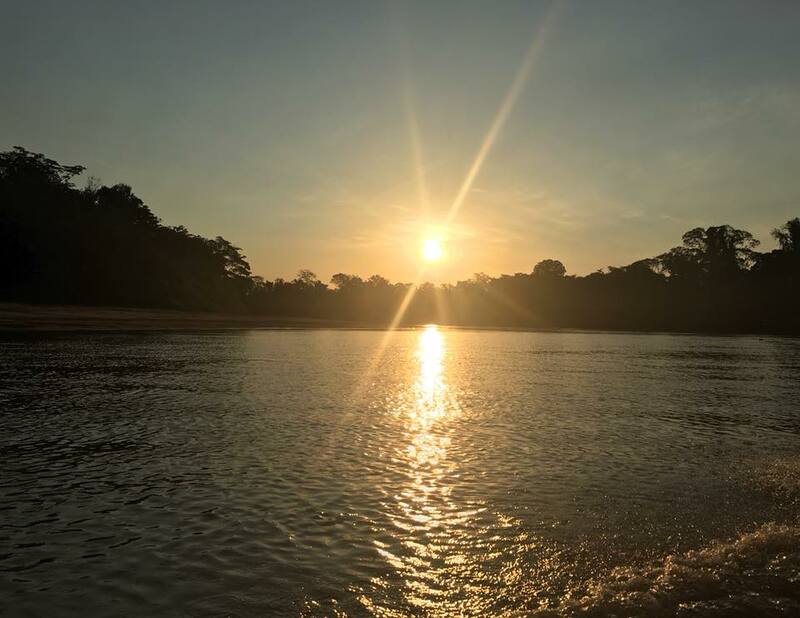 Watching a sunset on a boat on the Amazon River in the middle of the Rainforest, how was that my life? I actually felt like I needed someone to pinch me and wake me up because it felt like I was dreaming. 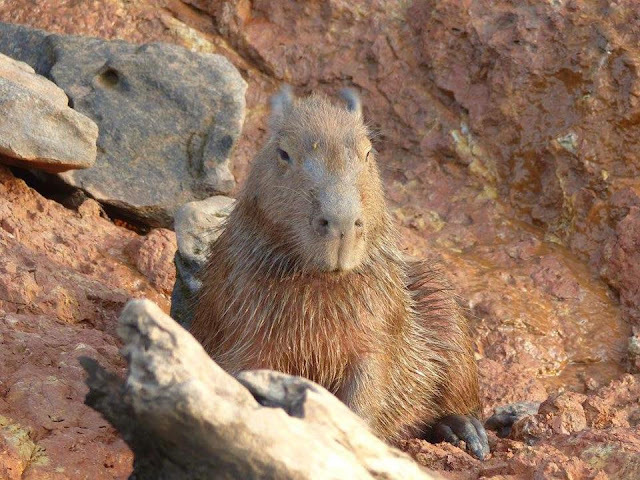 I have never seen anything so beautiful, and to make it even better, we even saw wild Capybaras on the river banks which were just absolutely adorable! 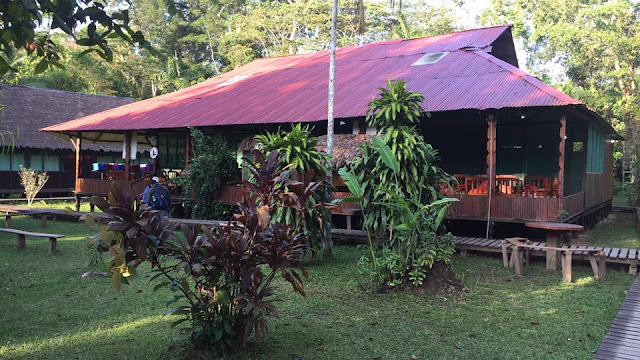 Our eco-lodge resort was amazing. 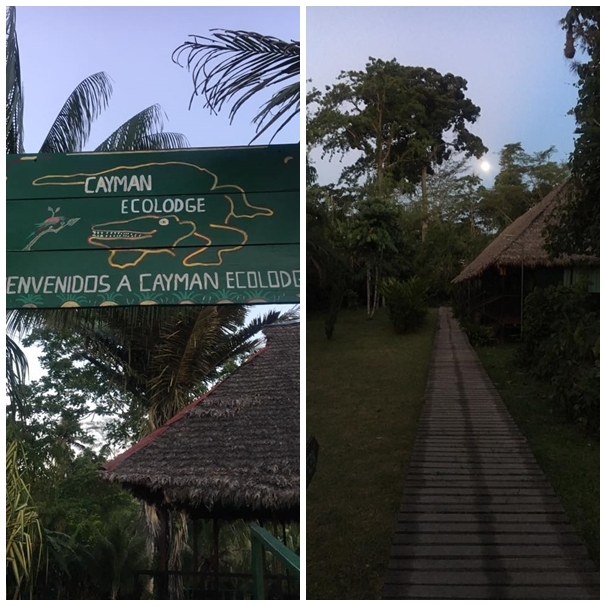 It was called Cayman Lodge in the Tambopata National Reserve region of the Amazon and it was the prettiest place ever. There was a big dining space where all the groups staying there met for meals, there was a bar which served the nicest cocktails, there was an area with all hammocks in where you could lounge around and chill out, there was so many little huts everywhere, there was even an area where you could charge your phone or electronics. I know, electricity in the jungle! Who would have thought it?! We didn't have any signal at all, but at least we could charge them! Our lodges were like no where I'd ever stayed before. 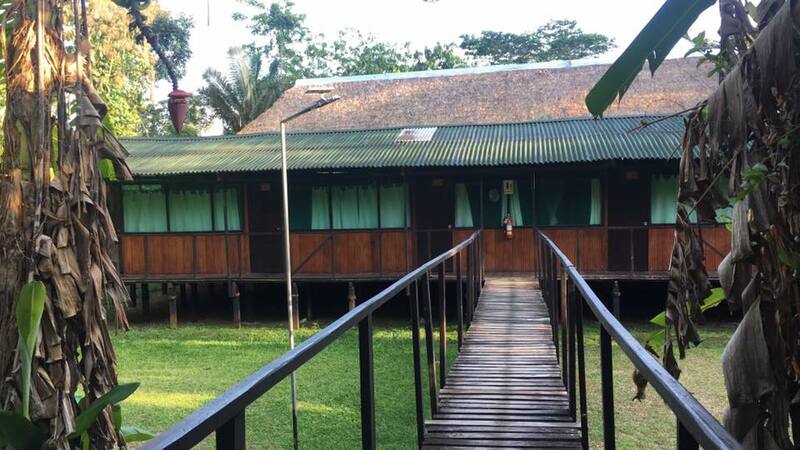 They were pretty little lodges made from wood, with grass roofs and little raised walkways leading to them which branched off all around the resort. 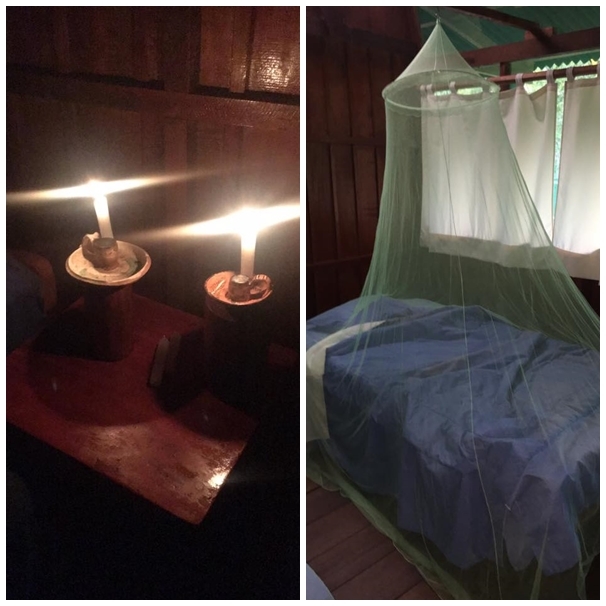 They had mosquito nets around the beds, and no electricity or lights in the rooms so when the sun went down, the only light you could get was using a torch or candle light! Just so different from anywhere I had ever been before. Not sure how much the mosquito nets worked though, the amount of bites I came home with was ridiculous, most of which I got in the jungle. They even bit me through my clothes! They tell you to take long sleeved tops and trousers but they still got their little sneaky selves through, and a few have scarred me on my arms and face. I am so so happy I took Malaria tablets because my repellent did nothing haha! We stayed in the Cayman Lodge for 2 nights but only one full day as we arrived late on the first day and we were setting off early on the 3rd day. While we were there we did some amazing activities. 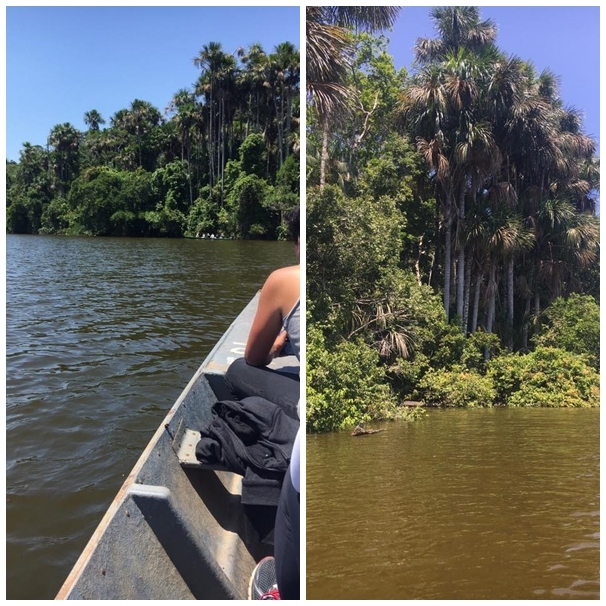 I wasn't sure what to expect from this part of the holiday, in regards to where we would be staying, what the Amazon Rainforest itself would be like, or what we would be doing here, but it was all just so amazing! 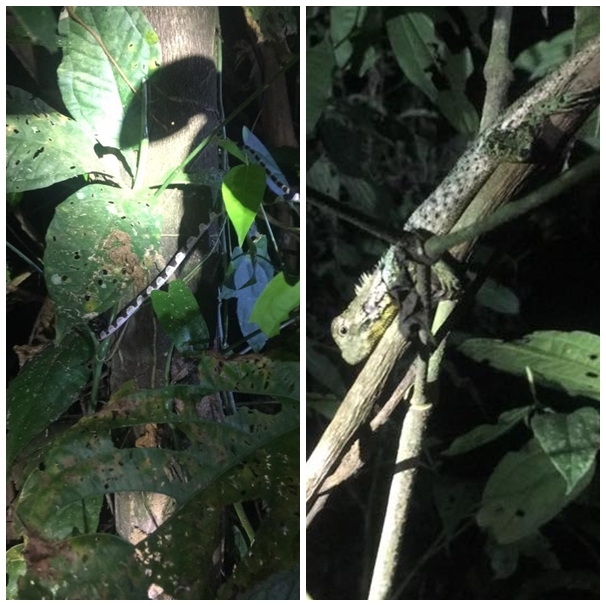 We missed one of our activites because we were delayed getting there but the 1st night we did a night walk through the Jungle with one of our guides and we got to see a snake and some creepy crawlies and then at the end before we turned back, we saw a spider that I'm not even exaggerating, was the actual size of a dinner plate! Just as we started to look at it, it scurried away because of the light off the torches and hid under a log, so our guide told us all to turn our torches off and see if it would come back out. I was so scared stood there not even being able to see my hand in front of my face just incase we put our torches back on and the spider was on my foot hahaha! It stayed hidden tho thankfully and didn't use my foot as a pillow, so we left it alone in peace. 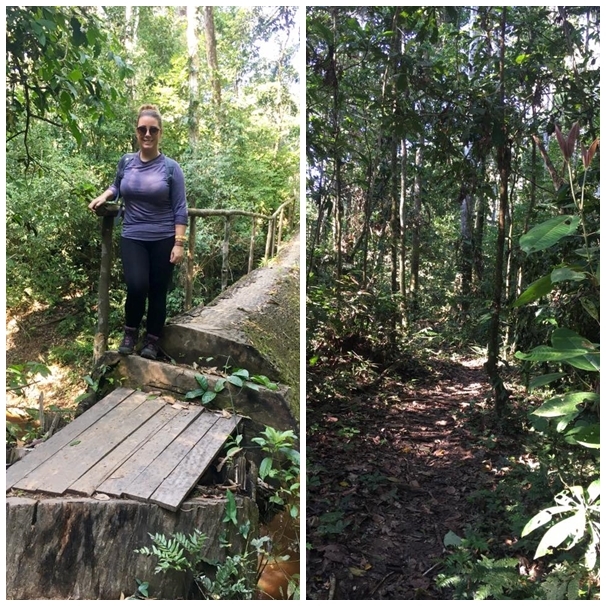 On the second day we did a jungle hike through the Tambopata National Reserve which was amazing but SO hot! The humidity was like nothing I had ever experienced (cue Monica Gellar hair and me having to wear my hair in a bun the whole time to keep it at bay!) 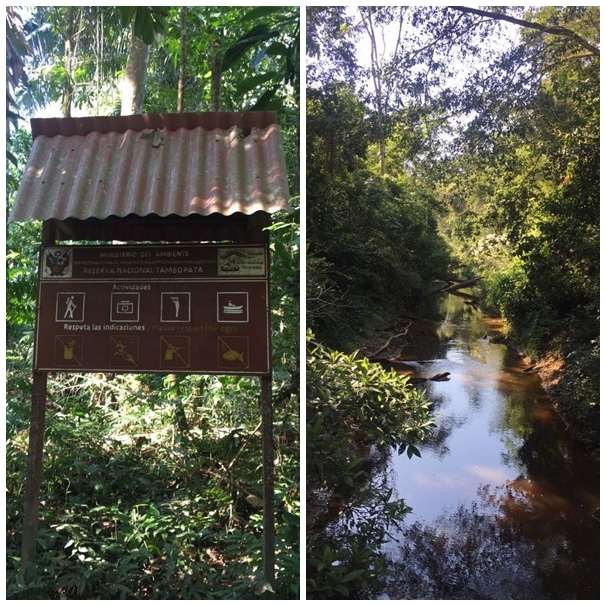 and hiking through a jungle in crazy humidity was an experience I'll never forget, but I loved it. I felt like GI Jane or Lara Croft! 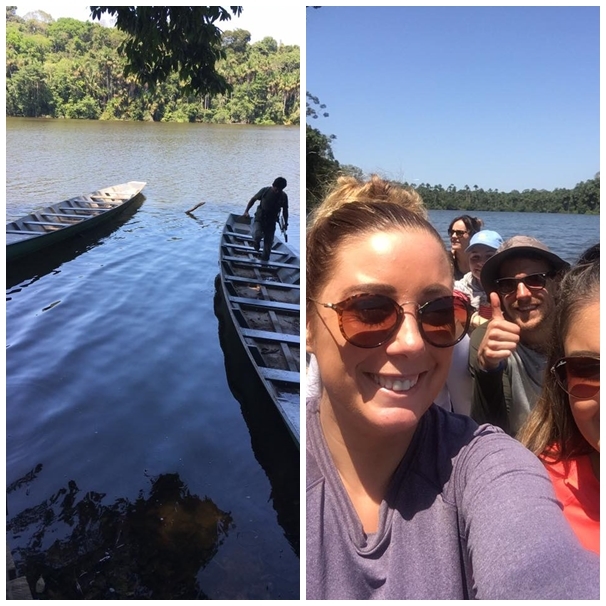 It was a 10K hike, 5K there and 5K back and then halfway through we got to cruise around in another little boat around this huge lake in the middle of the reserve. 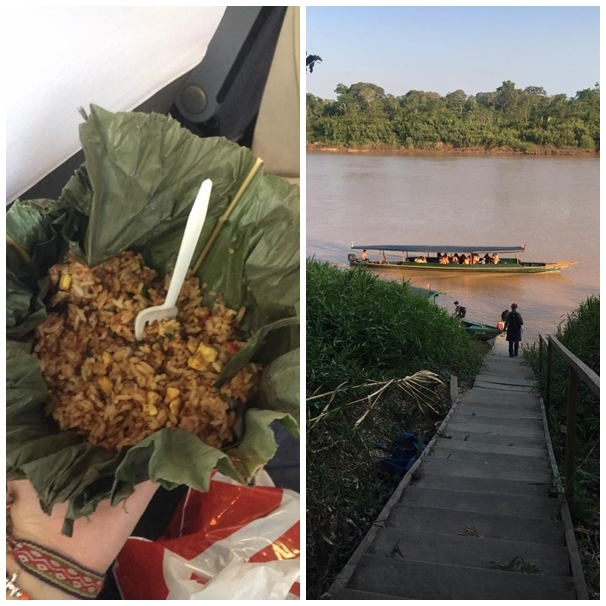 This boat was tiny and the whole time I felt like it was going to topple and I would be a Caimans lunch, but my god it was worth it! While we were on the boat we saw wild monkeys swinging in the trees, a massive Anaconda curled up on the river bank, a little group of bats sleeping upside down, and so many different birds and butterflies. It was unreal! 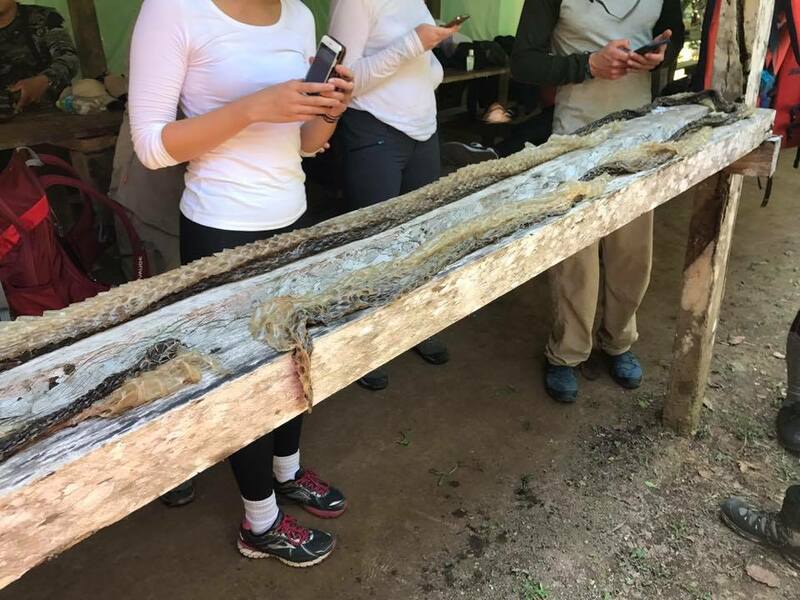 When we got off the boat and sat around for lunch, the rest of group brought in this huge anaconda skin which one had shed that they had fished out of the water. It was crazy! After the boat ride we hiked back and spent the afternoon chilling in hammocks, reading, chatting and drinking cocktails! 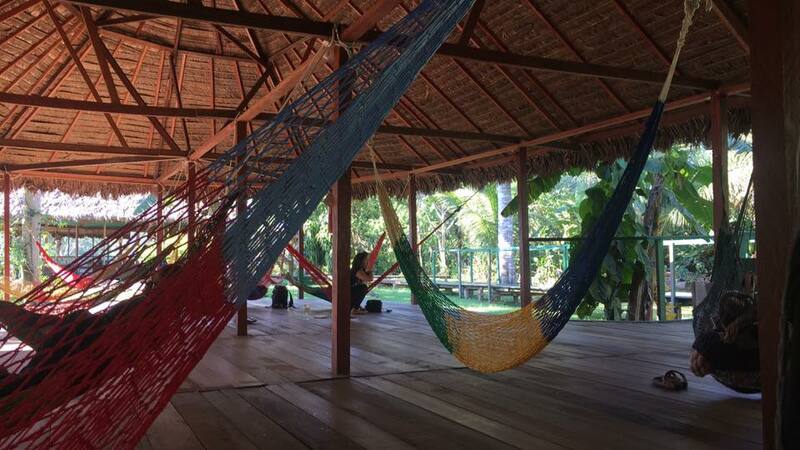 It was hard to think that a few days before I had been hiking through the Andes Mountains and now here I was, swaying in a hammock with a cocktail in the middle of the jungle surrounded by animals and hundreds of species of birds and not a care in the world! 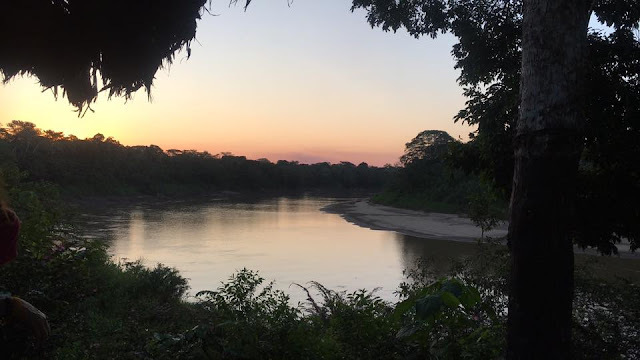 It was nice to get an hour or two to ourselves and just sit and think of how crazy the adventure had been so far, and how much we had seen and done while we were in Peru :) After our hour or two of chilled bliss, we all went to the little hut overlooking the river and watched another stunning sunset over the Rainforest and the River. Everything about this place was just perfect. That same day and the last of our activities was definitely my favourite. 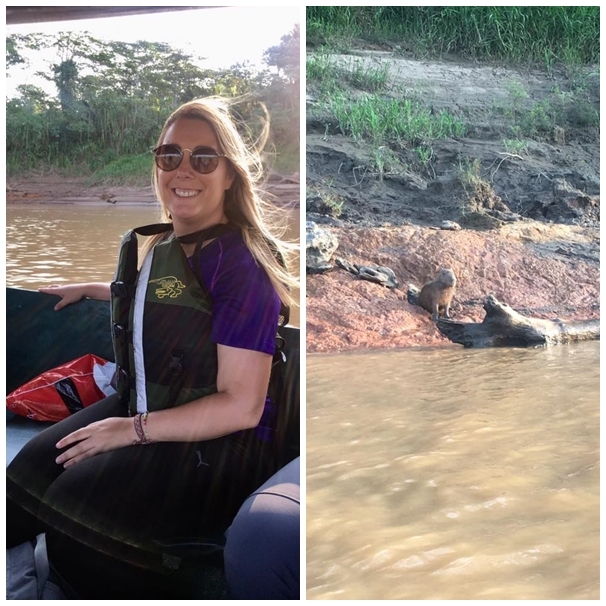 We went on a night time boat ride Caiman spotting! 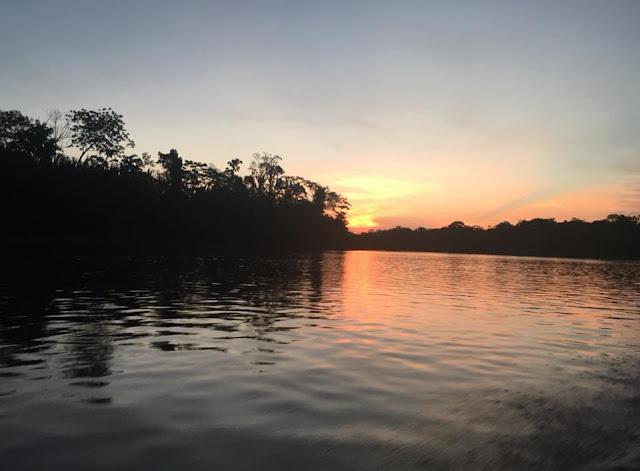 We all got back on a speedboat after it had gone dark and we floated up and down the Amazon trying to find some wild Caimans. The river was so silent other than the sound of birds and monkeys in the trees. 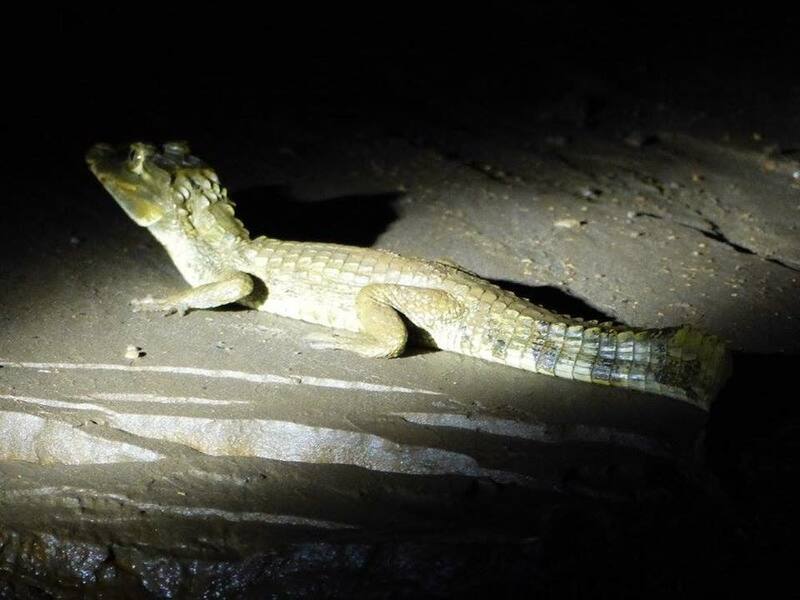 On the night spotting, the guides have huge torches and they shine them onto the river banks, and when they are shone onto a Caiman, their eyes glow red so you can spot them. I was so happy, I thought I spotted one from so far away when the guide shone the torch onto the river bank and then a minute later she shouted we've spotted one and it was the one I had seen! Just call me Sarah Attenborough haha! We ended up seeing quite a few for the hour we were out, all of them little baby ones and we saw them both in the water and on the banks. It was absolutely amazing, seeing these animals in their natural environments and in their own habitats rather than a man made one like the zoo's I'm so used to going to. It was one of my favourite things I have ever done. I am such a huge animal lover and love wildlife documentaries and Sir David Attenborough is one of my heroes so this couple of days was just something else for me. Aside from the activities we did and the animals we saw, the food was so nice in the resort! One of our meals was noodles with chicken and veg followed by bananas in a passion fruit sauce which was delicious, and another was steak with rice and veg followed by some sponge cake. My appetite still wasn't back after the Inca Trail and I still didn't manage to eat much, but I did manage to eat more than I had done and actually got to enjoy some of the food this time which felt amazing. The staff in the resort were just absolutely brilliant, especially our two guides, and I literally couldn't fault Cayman Lodge at all. I loved sitting round in the evening having a few drinks with the Assholes and spending some time relaxing, having drinks and having toothpaste parties! Haha! Yes we all did our teeth in the same room, waving our torches around as if they were glowsticks, and dancing round to absolutely nothing! It was the best teeth cleaning experience I've ever had that's for sure! Going to sleep at night as well with the sound of all the wildlife outside was strangely soothing and I had such good sleeps there, probably the best sleeps I had the whole holiday! I just wish we had been able to stay a little bit longer because I absolutely loved every second that I was there. 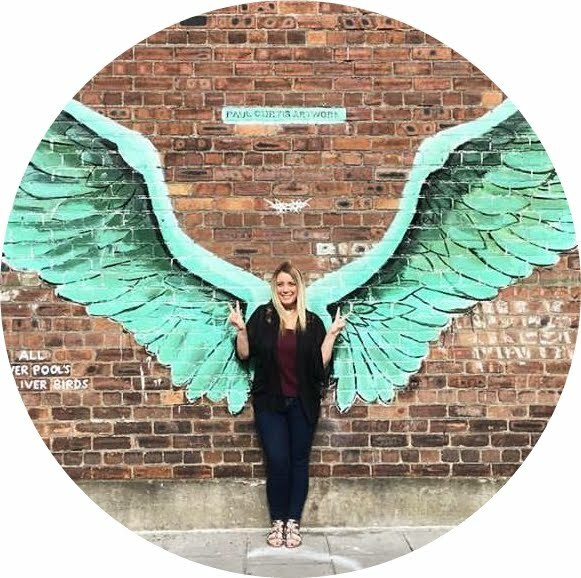 Sarah Travels | The Inca Trail & Machu Picchu!